California’s legal cannabis market, opening for business on Jan. 1, is expected to quickly grow to be the largest in the nation and worth more than $5 billion a year. County voting on Proposition 64 that led the state here — to legalizing sales for recreational use — can offer insight into how medical marijuana dispensaries will now market themselves, according to research from the University of California, Davis. 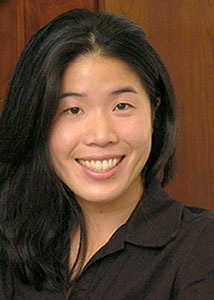 “The way that communities vote and the values they have are going to have an impact on how this industry’s going to evolve over time,” said Greta Hsu, a professor at the UC Davis Graduate School of Management and lead author on the paper, soon to be published in the journal Organization Science. Hsu draws her conclusions from the experiences of Washington and Colorado. She and her co-authors from Yale and Emory universities examined county voting patterns in the 2012 referendums that legalized marijuana sales in the two states and how medical marijuana dispensaries responded. In communities where the majority voted against such initiatives, medical marijuana dispensaries maintained a more traditional approach, accentuating the therapeutic benefits of marijuana as an alternative medicine. 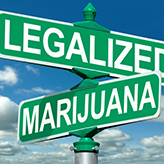 However, where the majority voted in favor of legalizing recreational marijuana sales, medical marijuana dispensaries adopted marketing strategies that de-emphasized the medical orientation and sought to attract recreational customers. The researchers analyzed information, reviews and descriptions of more than 1,000 medical cannabis businesses, using WeedMaps.com, a crowdsourcing website that is considered the “Yelp of cannabis” for dispensaries and other retailers. The researchers developed a coding system for the language in order to track trends across the two states. Despite legalization’s substantial disruption to their industry, these businesses continued with their original identity focused on therapy and the patients, said Hsu. They tended to be in counties where the majority voted against legalizing recreational marijuana. Dispensaries that embraced the new recreational market took more risk by advertising to a broader, emerging consumer class, which has been bolstered by a growing tourism industry. Supporters for these cannabis businesses emphasized the benefits to the local economy, public health and social justice, casting marijuana as less harmful than alcohol. Dispensaries with this more recreational-oriented marketing tended to be in counties that voted in favor of legalizing recreational use. Communities hold a great deal of power in affecting how dispensaries decide to market themselves, according to Hsu. In 1996, California was the first state to legalize medicinal marijuana, and Proposition 64 legalized recreational marijuana in the state beginning on Jan. 1, 2018. The state has unveiled a new licensing process for the cultivation, manufacturing and sale of marijuana, which is divided into both medicinal and recreational (or adult use) branches. However, the law gives local municipalities flexibility in deciding how easily dispensaries can operate within their boundaries. Some counties have chosen to ban all dispensaries. Others are carefully regulating sales and businesses through zoning and taxes. While 57 percent statewide voted in favor of Proposition 64 in 2016, a majority of voters in 18 counties did not. This included Kern County, which recently announced a ban on all marijuana businesses, including existing medicinal dispensaries. Hsu said the research contributes to understanding about how local conditions or cultural changes drive dynamics in a broad range of markets including rise of organic agriculture and the growth of energy and wind power. “Organizations in these changing markets have to think very carefully about how they want to position themselves and about the strategic choices they make,” said Hsu. The paper is titled “Co-opt or Co-exist? A Study of Medical Cannabis Dispensaries’ Identity-based Responses to Recreation-use Legalization in Colorado and Washington.” The co-authors are Balázs Kovács, assistant professor of organizational behavior at Yale, and Özgecan Koçak, associate professor of organization and management at Emory. Hsu, who is an expert in organizational behavior and theory, is continuing related research. She is also studying how cannabis dispensaries in several states are adjusting to changing markets.